One of its aviation and travels conglomerate, Peacock Aviation Services, has been appointed as its general sales agent for its operations in Nigeria. According to a joint statement by Fly Mid Africa and Peacock Aviation. The Gambia’s new national carrier, Fly Mid Africa, would start its flight services from Banjul, the country’s capital, en route Dakar, Freetown, Accra to Lagos. One of its aviation and travels conglomerate, Peacock Aviation Services, has been appointed as its general sales agent for its operations in Nigeria. According to a joint statement by Fly Mid Africa and Peacock Aviation, the airline is focused on easing the challenges business and leisure travelers from Nigeria and other nationals face across key cities in Africa, especially West and Central Africa. 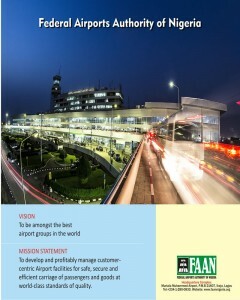 In agreement, Peacock has launched ticket sales in its international head office in Ikeja, Lagos and across all its offices in Nigeria, including Marina (Lagos), Abuja, Ibadan, Aba, Port Harcourt, Benin and Kano, while there would be flight services four times a week to and fro Lagos. Previous NIGERIAN FOREMOST CARRIER MEDVIEW AIRLINE STILL LEADS ON BEST PRICE ON THE UK ROUTE.